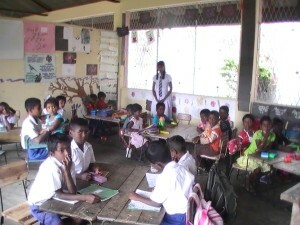 When we started in 2002, a time of war in Sri Lanka, we were able to reach only children’s homes. At the time we identified 5 children homes, in poor economic condition, in Eastern Province and tried to meet the basic requirement such as accommodation, clothes, food and medicines for children in these homes through contributions by friends of uthawi. 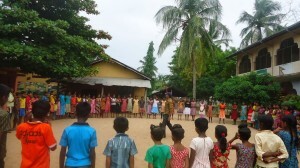 After the war, from the latter half of 2009 we have extended our activities to Art, Literature and Social Development Association in Arasaditheevu in Batticaloa and Kandhaloya Tamil Vidyalayam, Nawalapitiya focusing on education and personality development skills for children in these regions. We organize interactive sessions of story-telling with children using selective stories, poems and essays that promote social harmony and modern social thought. As part of these sessions, we also encourage children to tell stories, read poems, write essays and critique literary and fictional narratives that they have come across. There are places directly affected by the war, and lagging behind other children of their age in education. We take special sessions for these children to attentively enhance their writing, reading, learning and other skills and capabilities. uthawi gives honorarium for teachers to teach. In Kandholaya, we also give honorarium to a teacher for coordinating a pre-school, besides giving writing and sports materials to 20 children. uthawi assisted with the building of a hostel at the Kandhaloya Thottam School. 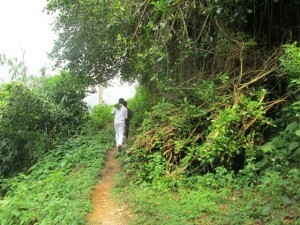 Since the school is located in the hills, six kilometers from the plains, children attending the school often walk at least two hours one way to the school across rocky and bushy terrain, becoming very tired at the end of their daily four hour travel, unable to fully participate in, or sometimes even identify with, the school and learning. As a result, they often remain at home or work as daily labour, dropping out of school altogether. The hostel, where at present about 20 students live, helps them to stay on campus and continue their studies. Second one, choosing themes developed from story-telling sessions. We compile and publish a book every year from a selection children’s writing from the story telling and world film screenings sessions. 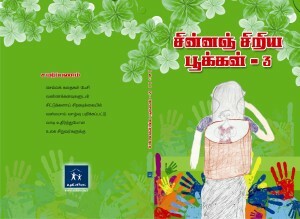 Books are circulated within and outside Sri Lanka.